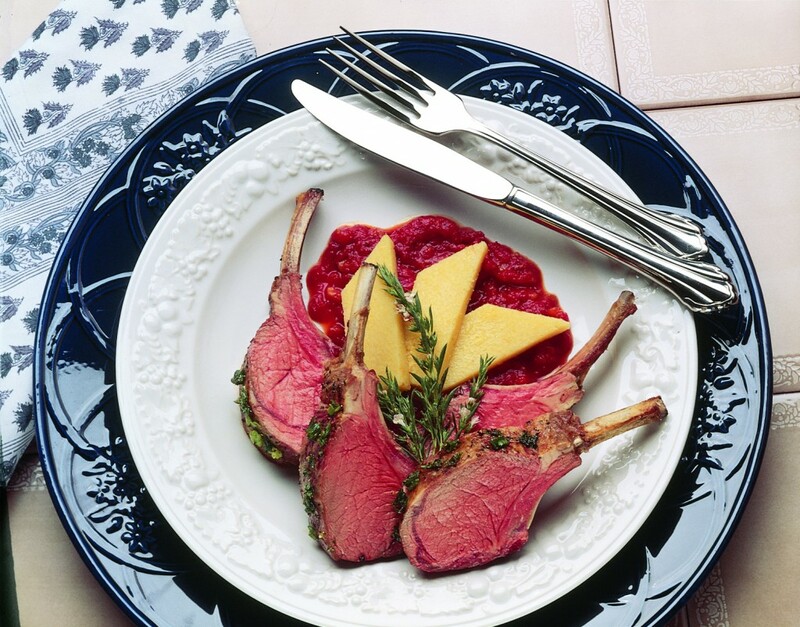 In a glass pan, place lamb racks, meat-side down; set aside. In medium bowl, combine Tuscany Marinade ingredients. Pour over lamb rack; cover, refrigerate and marinate 4 to 6 hours, turning twice. Remove lamb from marinade and place in shallow roasting pan. Roast in 375ºF oven for 30 to 45 minutes or to desired degree of doneness: 145ºF for medium-rare, 160ºF for medium and 170ºF for well. Remove from oven, cover and let stand for 10 minutes Internal temperature will rise approximately 10 degrees. Slice and serve with polenta in a prepared pasta sauce, if desired. 0.15 mg vitamin B6, 4 mcg vitamin B12, 4 mg iron, 9 mg zinc.